A whirlwind 36-hour tour through the awe-inspiring Chicago music scene. Have a weekend to spend in Chicago? Make it a music-filled stay and discover everything that makes this city sing, from venerable blues clubs to Chicago indie concert venues in hip neighborhoods and cool music stores that will have you browsing for hours. Plus, we&apos;ve suggested great Chicago places to eat and drink so you&apos;re fueled up and ready to rock! Head straight for the Pilsen neighborhood: a veritable treasure trove of groovy goodness. Once you&apos;ve reached Tack Room, you won&apos;t need a car until closing time — everything you need tonight is housed in one massive historic building. Kick off the evening of live Chicago music with a locally brewed IPA while the house pianist tickles the ivories. 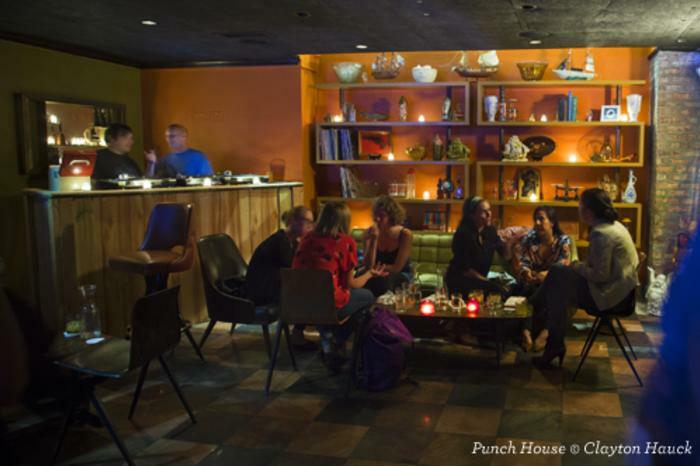 Within the next door restaurant Dusek&apos;s Board and Beer, you can amble down into the basement lounge Punch House for one of its fruity, flowery bowl drinks. This is also one of the few places in town where you can have fondue for dinner while resident Chicago DJs warm up the beats. 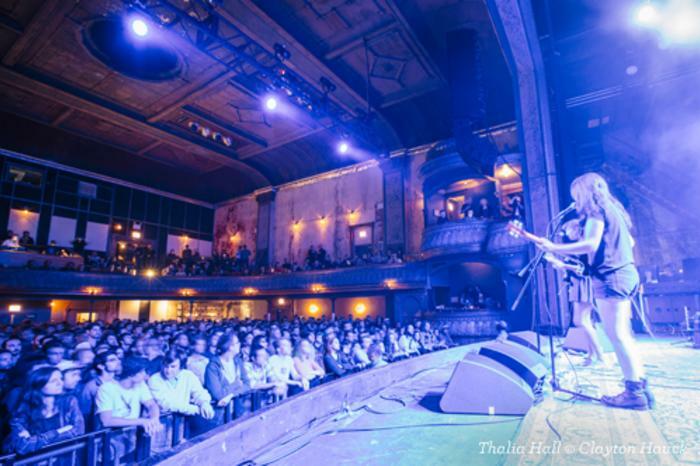 Then you&apos;ll head to neighboring Chicago music venue Thalia Hall, where indie heroes like M Ward and Rodriguez rock the house on the regular. Sleep in before a late brunch at Hash; we recommend the Pork Bubble & Squeak (pork shoulder, sweet potatoes and Brussels sprouts in a mustard cream sauce) with bacon-fat hash. This is a meal that may need a bit of "walking off," but Wicker Park/Bucktown&apos;s preponderance of vintage vinyl makes it the perfect place for music lovers to get a bit of exercise. Amid the funky Chicago boutiques and independent art galleries, you&apos;ll find a full menu of "licorice pizza." 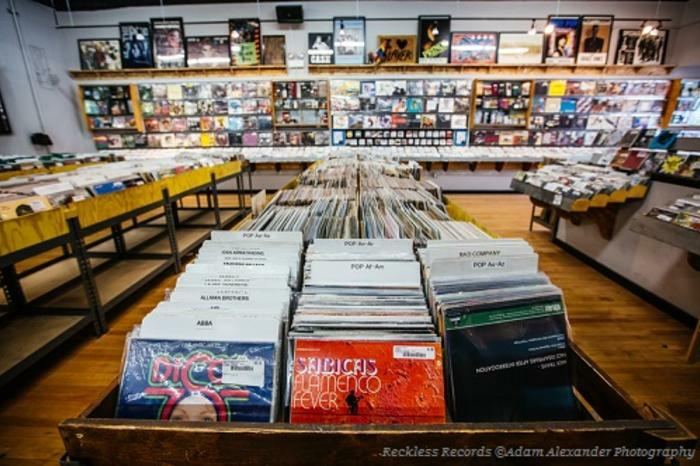 Reckless Records is known for a consistent mainstream selection at reasonable prices. Dusty Groove is known for obscure imports and basement treasures, with a deep inventory of jazz, hip hop, Afrobeat and Latin. Not sure what you&apos;re looking for? Hit up a friendly Shuga Records staffer for a tour of the stacks. Tonight you&apos;re off to Lincoln Park, where the Chicago blues are just a little bit bluer. Take your pick of authentic Chicago blues bars and juke joints that are mainstays of the city&apos;s music landscape. 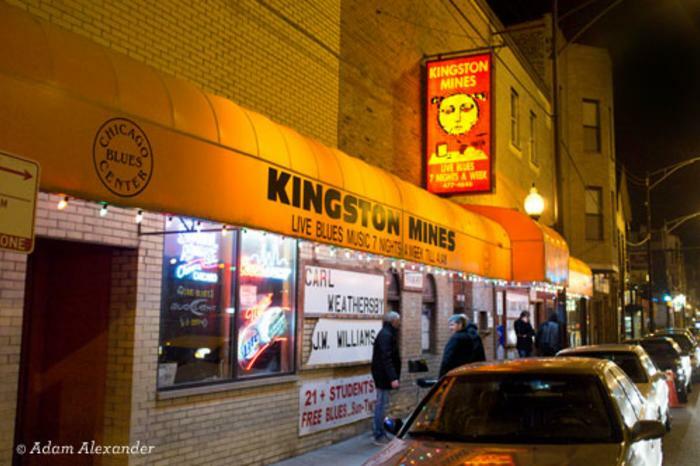 Visit Kingston Mines for Chicago blues on two stages, The Wild Hare & Singing Armadillo Frog Sanctuary for Caribbean beats, or B.L.U.E.S. for straight-ahead bluesmen with serious guitar chops. Continue your grand tour at modern, mid-sized Chicago music venue Lincoln Hall.